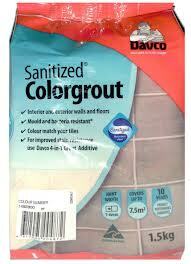 Davco Sanitized® Colorgrout is a cementitious grout designed for use with most types of ceramic tiles and natural stone applications. 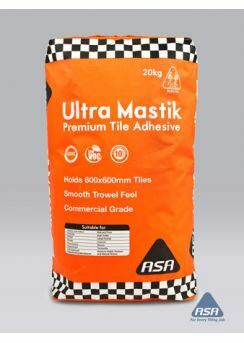 Top trade grade tile adhesive. High performance adhesive suitable for most applications. Very well suited to large format tiles and/or demanding jobs. 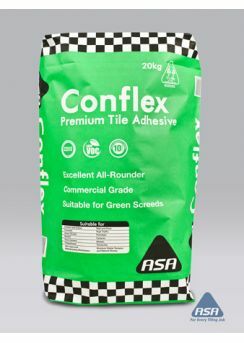 Suitable for tile-on-tile, large format tiles as well as green screeds and concrete. White tile adhesive with a very smooth feel. Superb holding capacity without slump. Can hold a 600x600mm tile on the wall. Well suited to large tiles, wall tiling and large jobs. Top of the range white paste tile adhesive with superior hold and water resistance. Mastik is white and will hold large wall tiles without slump. 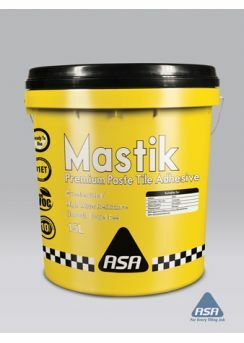 Mastik is an excellent choice if a top shelf paste adhesive is required.